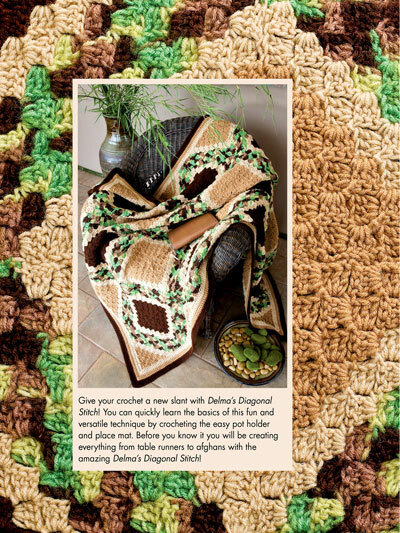 Diagonal Box Stitch---the Original Corner-to-Corner!! 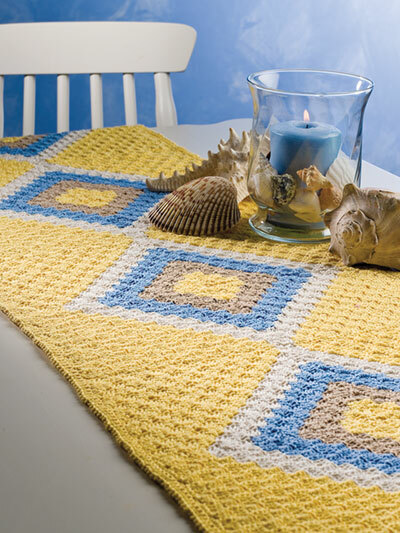 Diagonal crochet is an old technique that has recently been given a new life in the Corner-to-Corner craze. 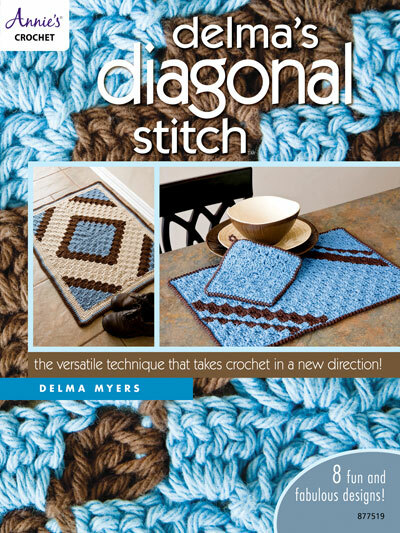 Delma’s Diagonal Stitch was originally published in 2007, and because this stitch is so popular we have added it to our Out of Print section. Instructions are written out and do not include charts. 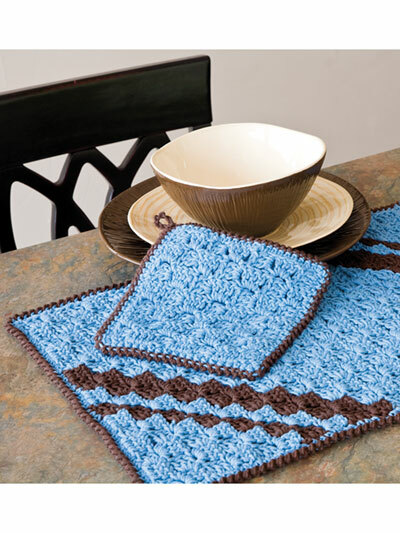 Learn how to make a rectangle shape, instead of the traditional square shape, when you stitch the simple placemat. 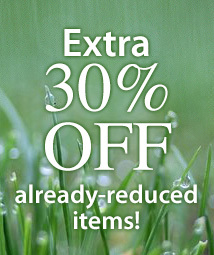 Or, join rectangles together to create the stunning Southwest Shawl.